Compatible Ricoh Toner Cartridge, Cyan, 17,000 page yield. Replaces Ricoh part number: Ricoh 888607, 841345. Color Laser Toner Cartridge compatible with Ricoh Aficio C3500, C4500. Compatible Ricoh Toner Cartridge, Magenta, 17,000 page yield. Replaces Ricoh part number: Ricoh 888606, 841344. Color Laser Toner Cartridge compatible with Ricoh Aficio C3500, C4500. 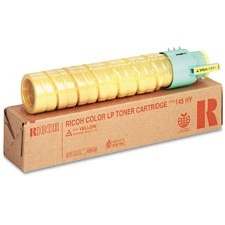 Compatible Ricoh Toner Cartridge, Black, 23,000 page yield. Replaces Ricoh part number: Ricoh 888604, 841342. Laser Toner Cartridge compatible with Ricoh Aficio C3500, C4500.